Research has shown that most golfers do not properly warm-up to improve performance and lower the risk of injury. Help your golfers shave strokes off of their game and achieve and maintain flexibility. 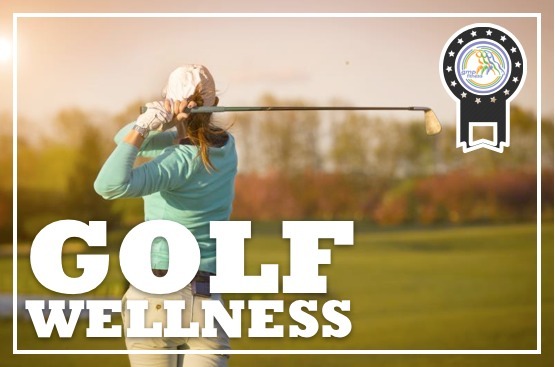 This course provides systematic conditioning and a healthy approach to golf, including exercise, nutrition and other aspects of wellness. This step-by-step Specialist Course will help you expand your marketability to golf enthusiasts who need to improve their flexibility to play a better, safer and have a more enjoyable round of golf. Acquire knowledge of what golfers should be doing prior to teeing off and while playing a round of golf. Learn the protective measures that a golfer must take to play safe and effective rounds of golf. Obtain knowledge on educating golfers on how to warm-up, stretch and eat properly when golfing. Understand why certain stretches are important and how they help golfers on the course. Gain insight on common golf injury sites in amateur and professional golfers. Provide appropriate instructional cues for proper form and exercise technique. Discover and learn a series of effective golf specific exercises and movements that will help to prepare the athlete for a round of golf. Help clients understand the best nutritional and hydration choices on the golf course. Prepare clients with information on other essential wellness tips. Gain advice tips on reaching the target group and establishing your credentials. Present techniques (for example 30 minute instructional sessions) to the golf community. ✓ Three attempts to pass the exam with NO retest fees.